Preschoolers love books and learn from sharing them with you. Reading together and talking about books will not only build your little one’s vocabulary, it’ll provide special one-on-one quality time that strengthens the bond between you. It’s a great idea to make reading part of your daily routine –perhaps before bedtime. Depending on your child’s age, you can focus on different aspects of the reading experience to get the most out of it. Here are a few examples of what your child can do at three years old and what you can do to maximize the reading experience! 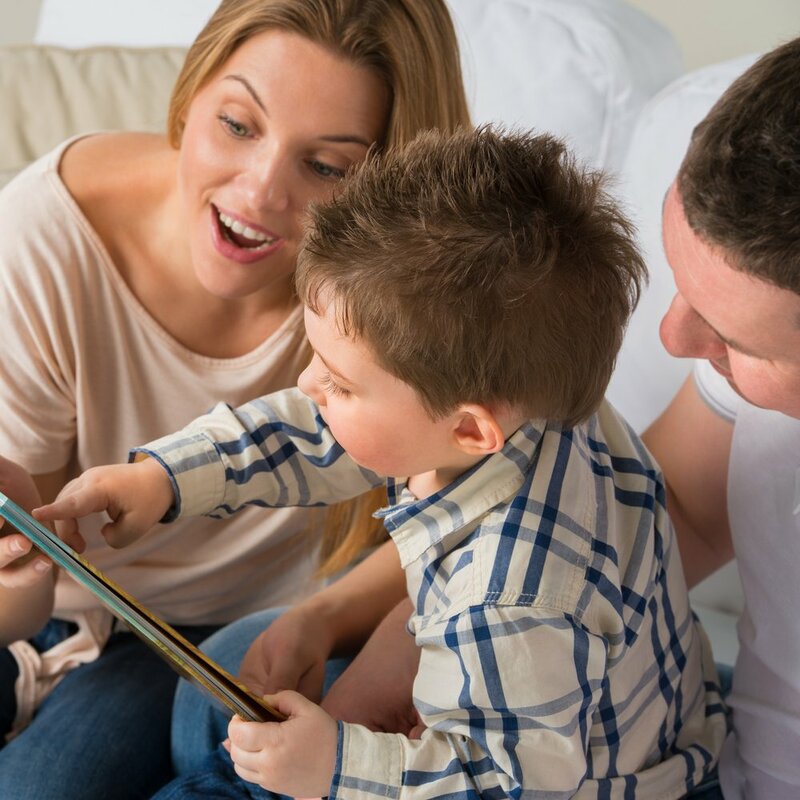 Your child can: At this stage, your little one can tell you the name of the story he wants to read. He might also like to pretend he’s reading out loud to you. He’ll probably ask a lot of questions about the story and tell you how it is similar to his life. He might have a favorite book and be able to tell you his version of it, and he will even “correct” you if you skip a page or say a different word while reading. You can: Find a quiet, cozy place where you and your child can cuddle up and read together. Ask your little one to participate by telling you about the pictures in the story. While reading, pay attention to your child’s cues and respond with excitement to his questions or comments. Read joyfully, using different tones of voice for each character. You can also talk about emotions, what are the different characters feeling? Finally, ask your child to point out all of the things in a picture that are similar in some way –for example, look for shapes and colors.